Wearables have been around for a number of years, but most devices have been aimed at consumers, with few business apps and limited capabilities to manage across an enterprise deployment. In 2017, that’s all about to change with the launch of new enterprise capabilities for the Samsung Gear S3. At the Consumer Electronics Show (CES) this week, Samsung is showcasing its latest smartwatch platform designed and built from the ground up to leverage the power and flexibility of wearables, while retaining the security and customization associated with its smartphones. The enterprise-ready Samsung Gear S3 will allow businesses to customize the experience and function to suit their employees’ specific needs, leveraging a new SDK. This SDK provides access to 300 B2B-specific APIs that developers can call on to create apps tailored for a business use case, whether it be sales associates in a retail environment or airport maintenance staff on the tarmac. Additionally, Samsung is showcasing integration of the Knox security platform on the Gear S3 along with new device management capabilities that will help address the security concerns companies may have when allowing access to enterprise data via wearables. These enterprise capabilities build on the Gear S3’s impressive hardware specs, including IP68 water and dust proofing, Gorilla Glass, Bluetooth, Wi-Fi and LTE connectivity for some models. Wearables are making waves across industries. 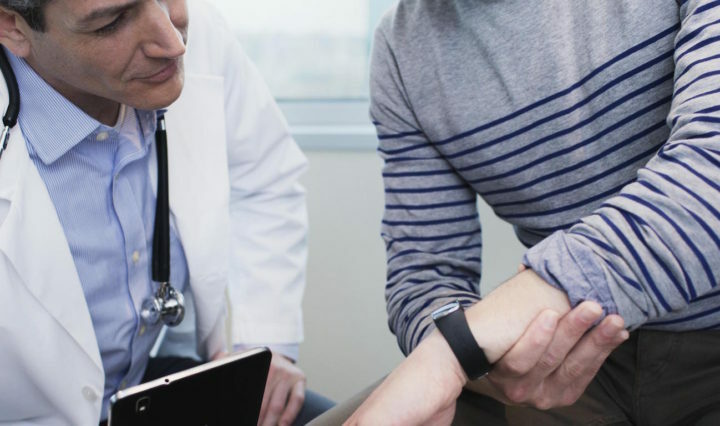 Here's how healthcare practitioners can help their patients make the best use of wearables. What Can CES Visitors Expect? Apps: Developers who have been working with Samsung over the last year will be showcasing apps designed specifically for business use. The new SDK allows developers to overhaul the physical look of the software and remap the physical buttons on the Gear S3 to carry out a function they need to perform efficiently on the go. Security: Deploying wearables for business use requires high-caliber security — especially given the sensitive nature of the data collected. That’s why Samsung has built kernel-level security into the Gear S3 operating system, leveraging its Knox platform. Samsung has also developed an enterprise mobility management tool for wearables that will allow IT administrators to have complete control over wearable devices on their system — including pushing apps to the workforce, removing apps, remote locking and wiping, and activating or deactivating specific functions, such as GPS and NFC. Hands-on: The final section of the wearables lounge at Samsung’s CES booth will let visitors see the enterprise-ready Samsung Gear S3 in action. The demonstration will show how Gear S3 devices can be used to improve efficiency by sending notifications to cleaning crews at an airport. By informing the crews of which gate needs to be cleaned next, and receiving acknowledgment of the message and an update when the task is done, Samsung will show how effective its wearable can be in improving production. Any new technology that could boost productivity would be welcome across industries as diverse as farming, healthcare, government and retail. Data from Accenture shows that employers believe the deployment of wearable devices in their workforce would help boost productivity by as much as 8.5 percent annually. When you consider that almost 50 percent of those aged between 18 and 44 are already using wearables on a regular basis, it makes sense for businesses to leverage the power these devices can provide. As we enter 2017, wearables are set to transform business by improving employee productivity and streamlining communication. Explore the potential of wearables for the enterprise by checking out our complete line of wearable tech.